General Knowledge Question Related To Indian Geography Set42 And Date Wise 11-10-2017 For All Examinations Which among the following rock system in India is also known as storehouse of minerals And provide the general question relating to the Indian constitution, that will much more and General knowledge questions and answers – for all competitive exams – MBA entrance, bank exams, RRB – Railway Recruitment Board And CAT, MAT, SBI-PO, RBI And Railway, Indian Army , Rajasthan,Delhi Police Related Study material And All competitive Exams. Question. (1) Which country is related to Latin Tbilisi Agriculture? लदांग चलवासी कृषि किस देश से सम्बन्धित है? Question. (2) What is the name of the common life-building agriculture in Sri Lanka? 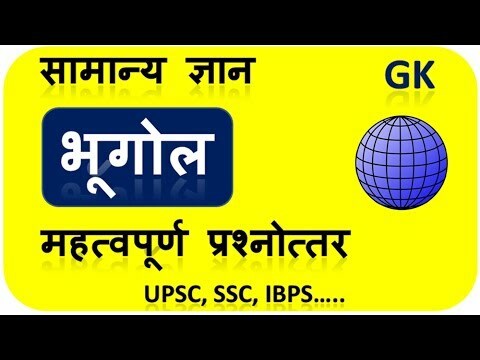 सामान्य जीवन निर्वहन कृषि श्रीलंका में किस नाम से जानी जाती है? Question. (3) What name is the transferred agricultural farming done in Thailand? थाईलैंड में की जाने वाली स्थानान्तरित कृषि को किस नाम से जाना जाता है? Question. (4) What name is the transitory farming done in Myanmar? म्यान्मार में की जाने वाली स्थानान्तरणशील कृषि किस नाम से जानी जाती है? Question. (5) The most intensive agriculture is prevalent? सर्वाधिक सघन खेती प्रचलित है? Question. (6) Bagani does not come under agriculture? बागानी कृषि के अन्तर्गत नहीं आता है ? Question. (7) Which type of agriculture is the most popular in the world? विश्व में किस प्रकार की कृषि का सर्वाधिक प्रचलन है? Question. (8) The commercial agrarian trade of vegetables spread over the land? जमीन पर फैलने वाली सब्जियों की व्यापारिक कृषि कहलाती है?